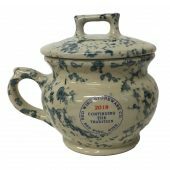 Like the 25 Candy crock, the 35 crock is just a larger version. This is great for holding more of what it is you want to hold. 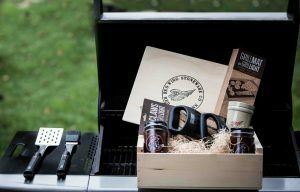 Plus it will decorate your kitchen, family room or office. These factory second Sotasteins are glazed green. They are seconds due to the glaze turning blue in spots or glaze streaks. They will not be cracked. Imperfections will vary. 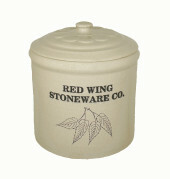 Like all our high-quality stoneware it is lead-free and dishwasher and microwave safe. 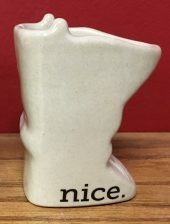 The SotaStein honors the unique shape of Minnesota in a boot shaped stein designed for drinking your favorite hot or cold beverage. Some like to drink out of the back side by the handle while others drink from the front or even the side, whatever works for you. 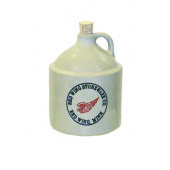 These Charming jugs, which are miniature replicas of the historic full size jugs will be welcome additions to your Red Wing Stoneware collection. 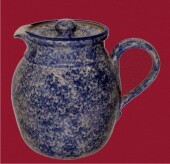 With a small candle placed in its top, the beehive jug or shoulder jug becomes a unique candlestick holder. Save your pennies for a rainy day in the delightful 1 1/2 Pint Shoulder Jug Bank. This Auction will end at 10 a.m. CST Saturday December 22nd. 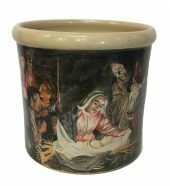 This beautiful 1 Gallon Manger Scene was hand painted by our Artisan Evan. Evan has created a beautiful detailed scene on this crock using under glazes. This is truly an item to be treasured. 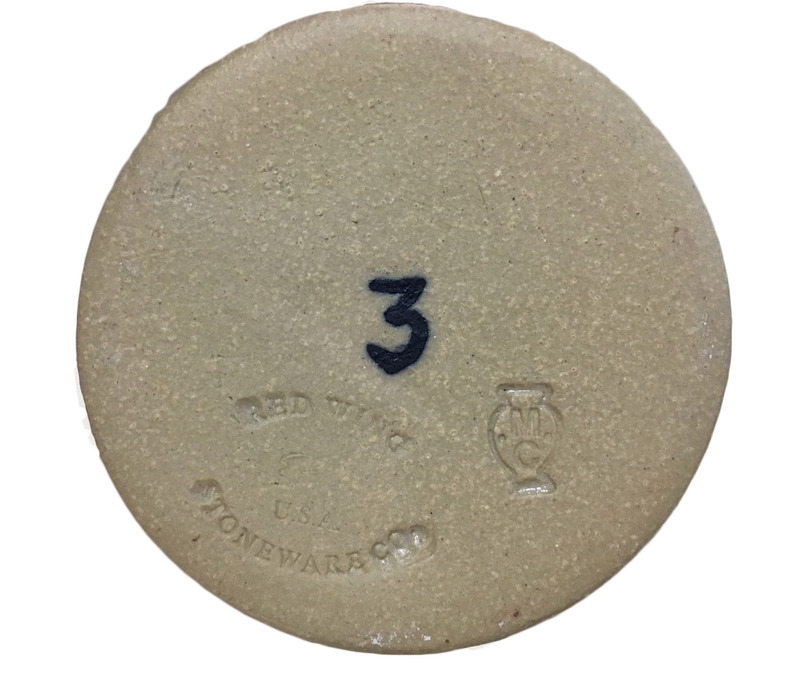 The back features our standard 1 Gallon Red Wing design. This is a one of a kind item. 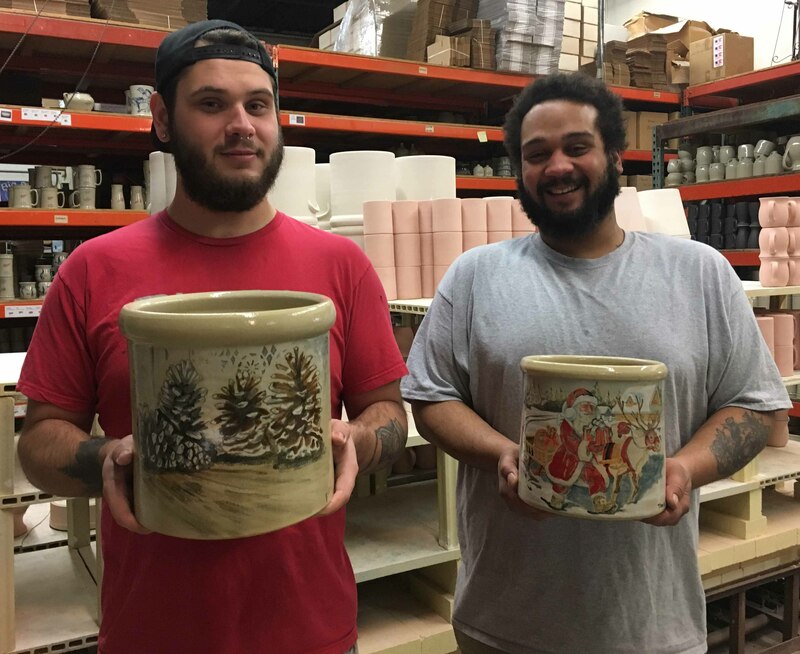 Evan and Todd are shown with a couple other Hand Painted Crocks. 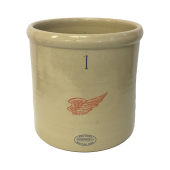 These Charming jugs, which are miniature replicas of the historic full size jugs will be welcome additions to your Red Wing Stoneware collection. With a small candle placed in its top, the beehive jug or shoulder jug becomes a unique candlestick holder. 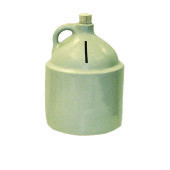 Save your pennies for a rainy day in the delightful 1 1/2 Pint Shoulder Jug Bank. These jugs make great gifts for any occasion. 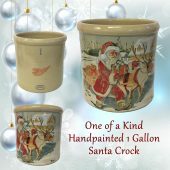 Dress up your counter with this Half Gallon Crock with Lid. 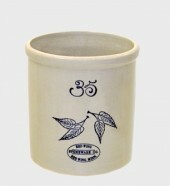 It is a perfect canister for your kitchen or wherever you might keep your secret cookie stash. 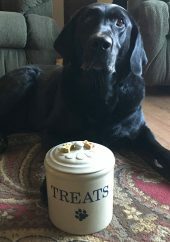 We also use it to store our furry friends treats! 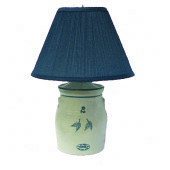 Light up your life with these beautiful stoneware lamps! Designed in our classic butter churn and threshing jug style, these lamps, complete with shade will beautify your home or office. All lamps are electric, have a 3-way switch and are made with UL approved parts. 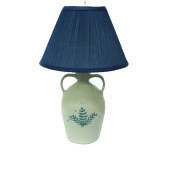 Sizes reflect the length between the top of the lampshade to the bottom of the lamp. Lamps include shades. 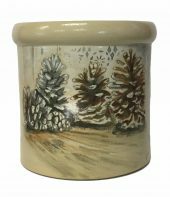 Invite the neighbors over for coffee kept piping hot in this lovely 2-quart stoneware coffee server with lid. Makes a handsome setting alongside creamer and sugar set. 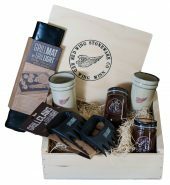 A wonderful gift for the coffee lovers! Serve your favorite hot or cold beverage in this beautifully designed stoneware pitcher. 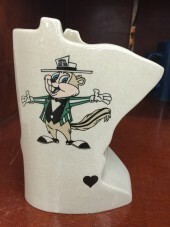 These 16 oz Sota Steins were made for the Minnesota State Fair in 2014. They feature either the Fair Scene or Fairchild. They have the year on the side of the pieces. 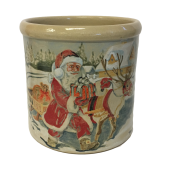 This year’s collectible was designed and hand thrown by potter Mark Connolly. They are decorated with a blue spray stain and then clear glazed. 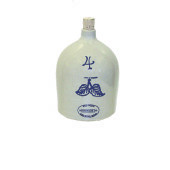 Each piece of the set, bowl and pitcher are individually numbered with matching numbers. The pitcher has our Continuing the Tradition 2016 decoration on it. 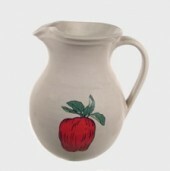 The pitcher measures approximately 4.25″ high by 5″ wide including handle. 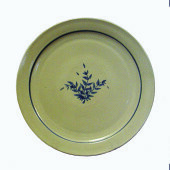 The bowl measures approximately 2″ high by 6.5″ wide. A limited number will be produced. These cute little chamber pots have blue sponge decoration and are clear glazed. They have a removable lid. The Continuing the Tradition 2018 decoration is on the side of the chamber pot base. Each piece is individually numbered and measures approximately 5.75″ wide by 4.75″ high. This will be a limited production run. 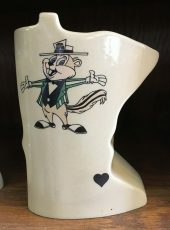 This years collectible was designed by potter Mark Connolly.